Go from paper pad to iPad with the flick of the wrist. 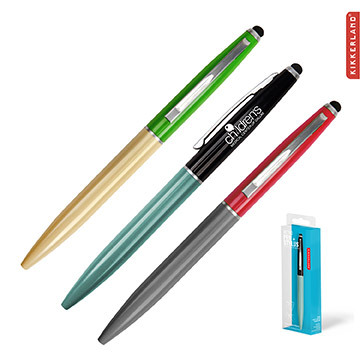 Two-in-one twist-action, solid brass ballpoint pen and stylus. Available in 3 assorted retro colors.